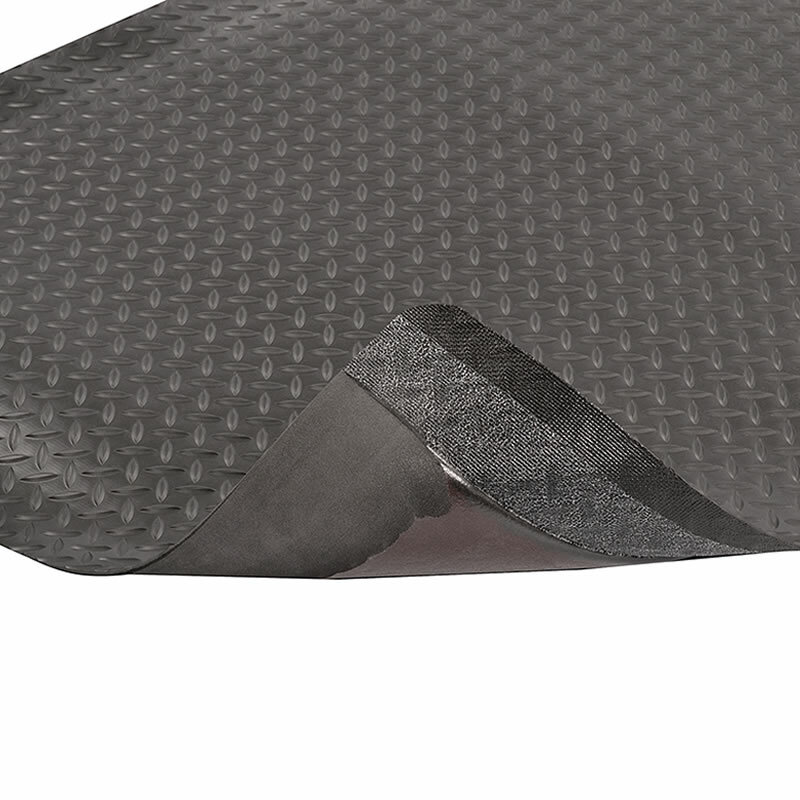 This is a great anti-static mat that drains electricity from workers and has a vinyl, diamond-plate, anti-slip, top surface. 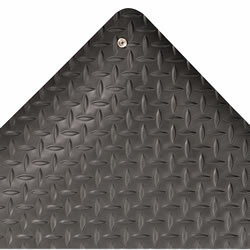 Diamond Stat™ Mat makes use of RedStop™ non-slip backing technology which keeps it from displacing on a smooth flooring. The vinyl surface is combined with a dense closed cell foam base utilizing Notrax® exclusive UniFusion™ technology—eliminating the chances of de-lamination. • Sloped beveled edges to minimize trip hazards and easy transition on and off the mat. • Overall thickness of the mat is 9/16 inches. • Choose from stock sizes and custom lengths. • Easy to clean. 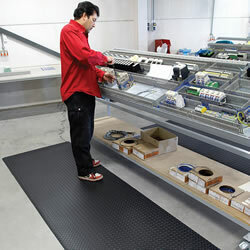 Ideal for assembly or testing areas. 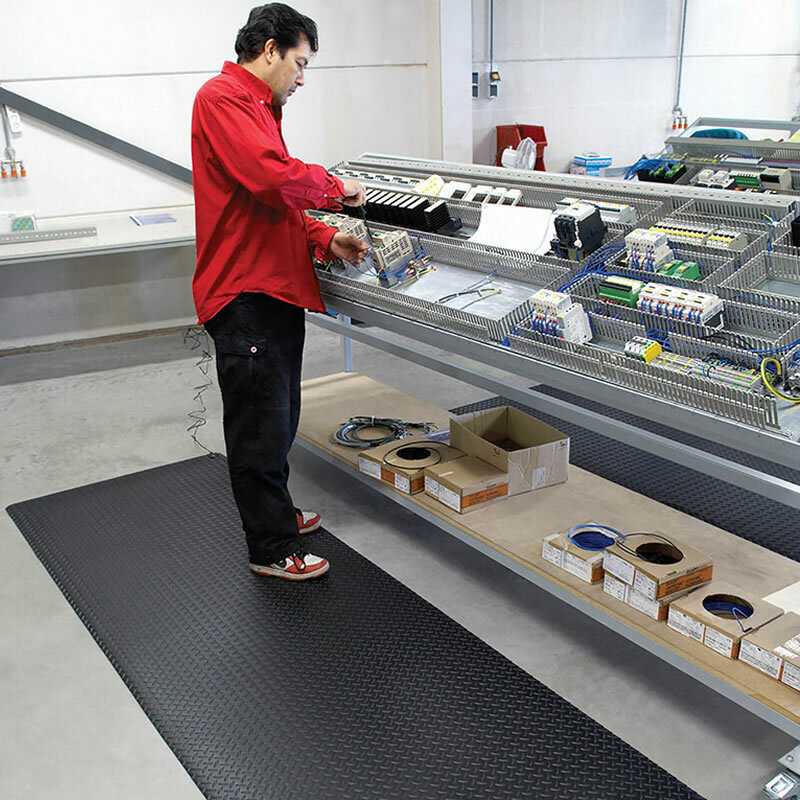 • Affix the Grounding Cord Kit to your mat to to keep static electricity away from your workers. Simply snap onto the mat and connect ring terminal to the ground.